Cerebral Metalhead: Chris Puma of Candiria - R.I.P. Chris Puma of Candiria - R.I.P. Chris Puma, an original guitarist for Brooklyn's uncategorizable metal-fusion group Candiria, has died. Puma was a member of Candiria from 1992 and 1997, during which he helped build Candiria's innovative sound. His stuttering guitar riffs, often set against those of second guitarist Eric Matthews in unconventional voicings, can be heard on the band's Deep in the Mental and Surrealistic Madness albums, both from 1995. 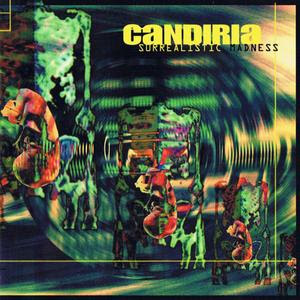 I discovered the band well after Puma left, but it's clear from listening to his work on Candiria's early records that Candiria continued to employ the guitar sound he helped develop. This news comes not long after the announcement of Candiria's Toying With Insanities, a four-volume remix and rarities set drawn from albums on which Puma performed.